The word “Kutch” means “island” in Sanskrit. This refers to the fact that in ancient days, the Ranns, meaning deserts of Kutch were sunken by the Indus river flowing into the sea. This made the area get separated from the mainland and submerged into a shallow body of water, more like an island. In 1819, an earthquake changed the topography and the Indus river began to flow further westward, and the Ranns became a vast desert of saline deposits. The Ranns become marshy salt flats that look snowy white when the water dries up in the summer. Harappan artifacts have been excavated from Khadir, an island of Kutch proving the existence of Kutch in ancient India. Kutch was ruled by the Rajput rulers of Sindh and later during Jadeja Rajput king Khengarji I, Bhuj became the capital of Kutch. During the Mughal era, in 1741, Lakhpatji I became the king of Kutch and ordered the construction of the widely renowned Aina Mahal palace. Lakhpatji was known for patronizing poets, dancers and singers and during his reign, Kutch prospered in all cultural aspects. 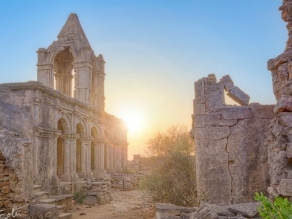 In 1815, the British captured the Bhujiyo Dungar hill, and Kutch became a British district. The Prag Mahal palace, the Ranjit Vilas palace, the Vijay Vilas palace in Mandvi were built in Kutch in this British period. As a princely state, lot of developmental work took place during this period till Kutch joined the newly independent India. On the outer side of the Rann of Kutch, the ecologically important Banni grasslands can be found. 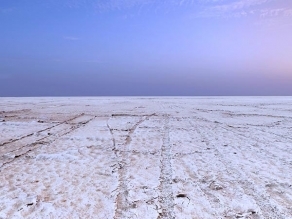 With Gulf of Kutch in the South and the Arabian Sea in the West, the northern and eastern parts of Kutch are inbound by the great and small Rann of Kutch. The Ranns are essentially wetlands. Kutch has two major ports Kandla and Mundra that are closest to the Gulf and Europe via sea route. The frequently used language here is Kutchi and to some extent Gujarati, Sindhi, and Hindi. As the original script of the Kutchi language has become nonexistent, it is now written in the Gujarati script. There are various communities and groups residing in Kutch. Immigrants from neighbouring Marwar, Sindh, Afghanistan, etc., have mixed with the original Kutch people to create these groups. To experience this extraordinary cultural variety and the unique geographical phenomenon of the Rann of Kutch, one really needs to visit this place while touring Gujarat. The nearest airport to Kutch is the Bhuj Airport. The place is well connected by rail and road too. Winter is the best season to visit Kutch. There are Gujarat State Road Transport Corporation (GSRTC) buses available for different destinations in Kutch. To reach Kutch the main gateway is Bhuj. Bhuj Station is connected to Ahmedabad and other different cities in Gujarat and to New Delhi and the neighbouring states of north-west and central part of India. The main airport in Kutch is Bhuj Airport. Flights of all major airlines like Indian Airlines, Jet Airways, Kingfisher, Go Air etc are available for different cities from this airport. Home to several UNESCO World Heritage Sites, beautiful hill stations, charming coastal regions and dazzling lakes, Gujarat is one of the most beautiful places in India. 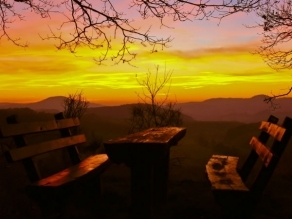 It is one state where you can savour each and every kind of tourist attraction.